J.M.W. 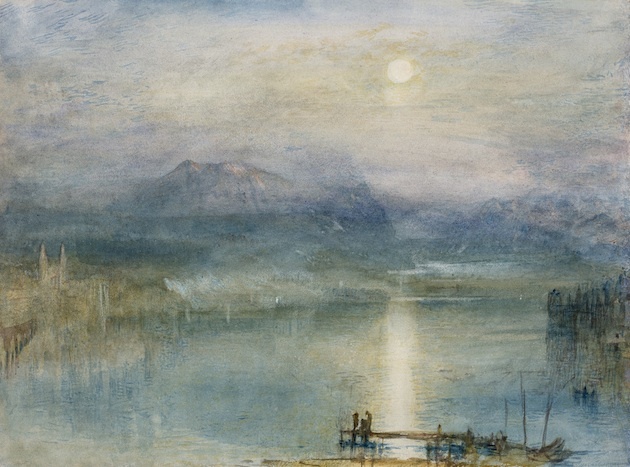 Turner, R.A.: Masterpieces from the Whitworth Gallery, Andrew Clayton-Payne Ltd, 14 Old Bond Street, until 8th December. What a treat this is for us to have the chance to enjoy Turner’s artistic career through this loan exhibition of 16 watercolours. They lead us from his time as a skilful nineteen-year-old student at the Royal Academy to being the highly respected painter and watercolourist in his seventies. 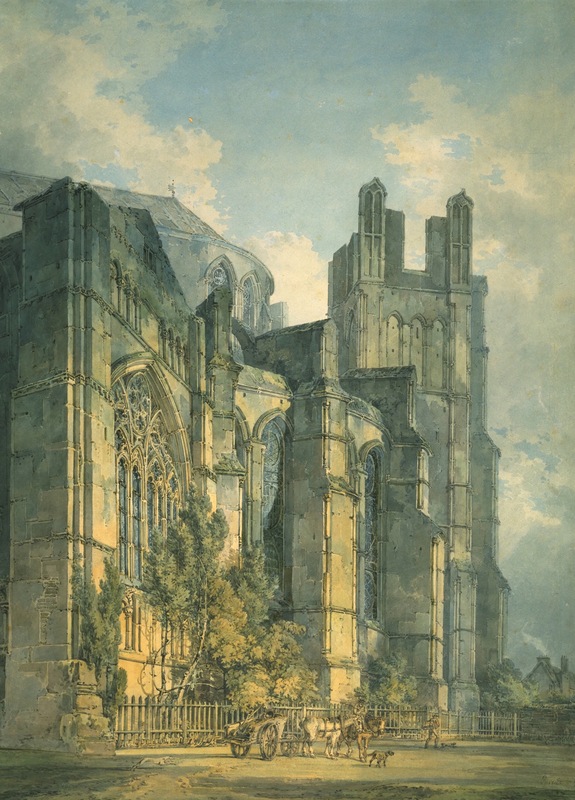 Dating from 1794 is Turner’s St. Anselm’s Chapel, Canterbury Cathedral, with Part of Thomas-a-Becket’s Crown which shows his skill at producing an exact, sensitive depiction of the complex architectural features of this part of the Cathedral. 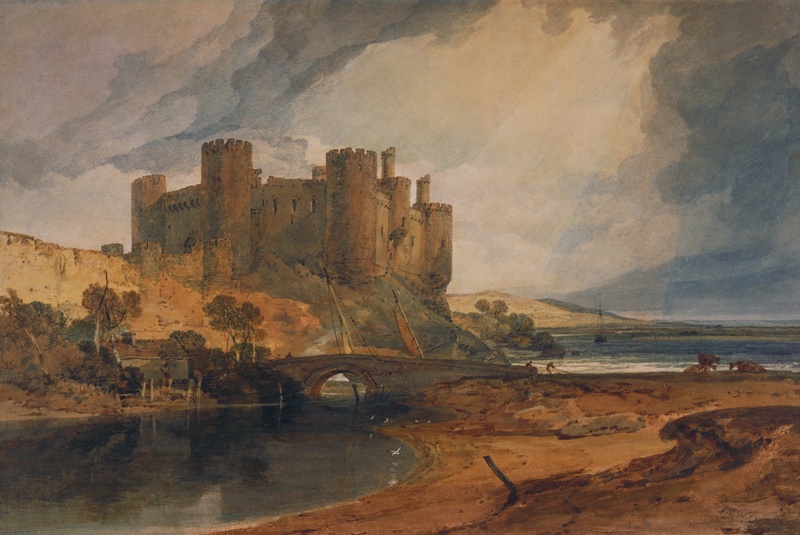 In his 1801-02 work Conway Castle, which by the way is receiving its first London showing, one can see that he is already moving away from accuracy to a more atmospheric rendition of the subject. 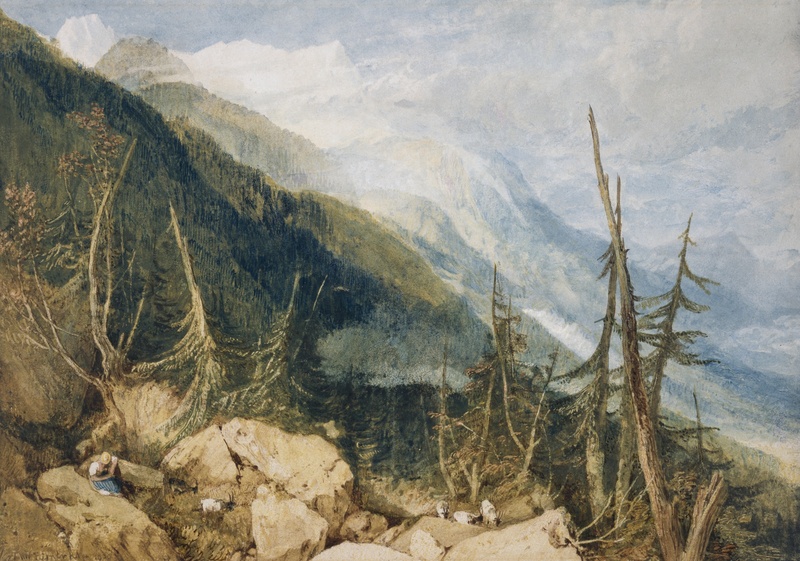 Nor is Conway Castle the only work in this show making its London exhibition debut as some works from his travels to Europe, such as Valley of Chamonix, France, Mont Blanc in the Distance (1809), are also being seen here for the first time. 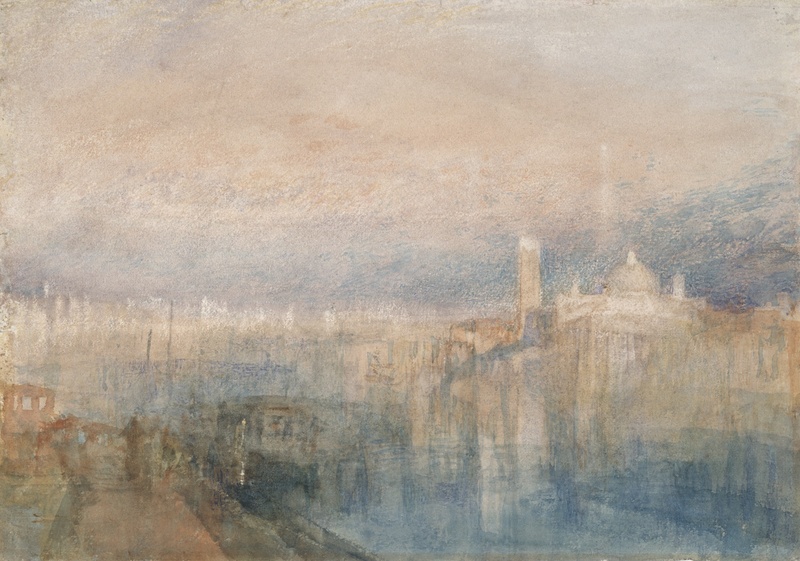 Over the following years one discovers how precise detail is being replaced with a greater use of shading and tonal contrasts that help create the ethereal sense of atmosphere and in some watercolours, such as the c. 1840 Venice: San Giorgio Maggiore from the Entrance to the Grand Canal in a quite sketchy manner. His use of light, shade and lighter touch bring an emotional resonance into the works and which pre-dates Impressionism by some thirty years. Undoubtedly one of this show’s highlights is Moonlight over Lake Lucerne with the Rigi in the Distance, Switzerland (1841). One can totally understand why! This entry was posted in British Paintings, Visual Arts and tagged J. M. W Turner, Royal Academy of Arts.